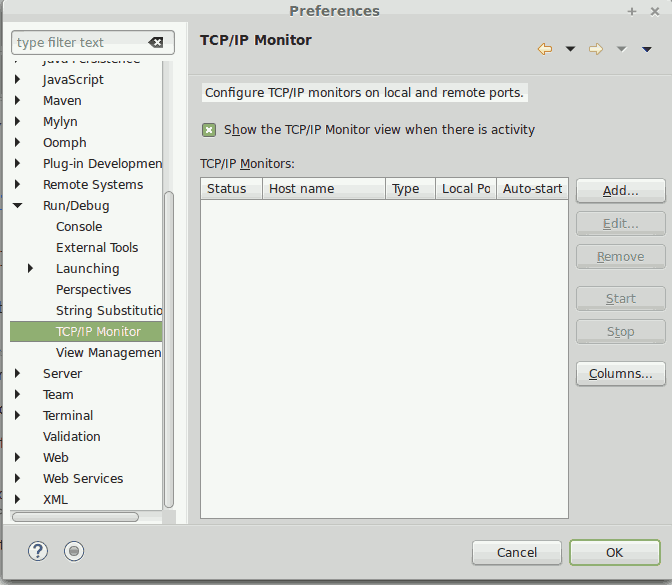 First you need to enable TCP/IP monitor (see the screenshot) in Eclipse IDE (Windows –> Preferences –> Run/Debug –> TCP/IP Monitor), then click Add button in the left side menu. Now click the OK button and then click the Start button on the left side menu. For monitoring the request/response we need to invoke the service. 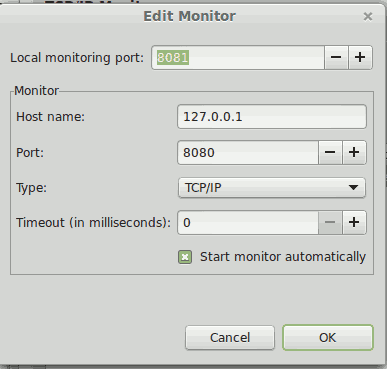 So just run the following client for simulating.